Elegant polychrome woodblock print of large horizontal format made around 1900 by Ogata Gekko (尾形月耕) and depicting an evocative view of Mount Fuji (富士山) framed by a triple gate mitsutorii (三ツ鳥居). 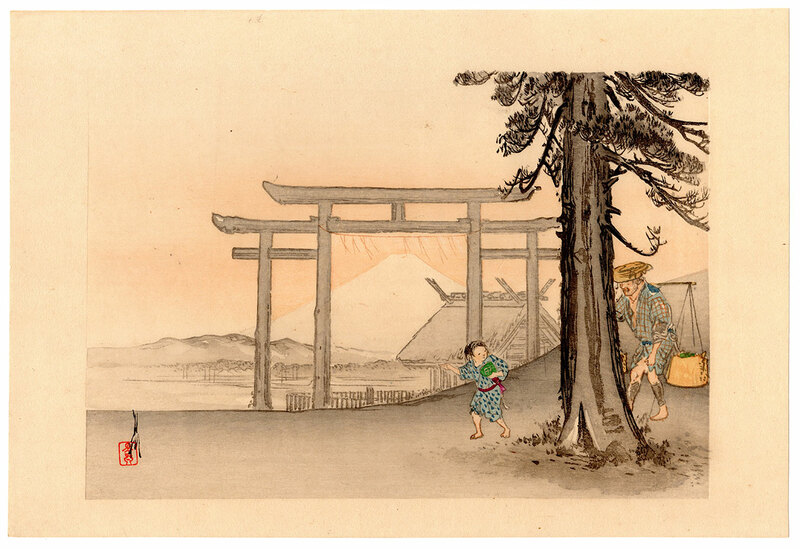 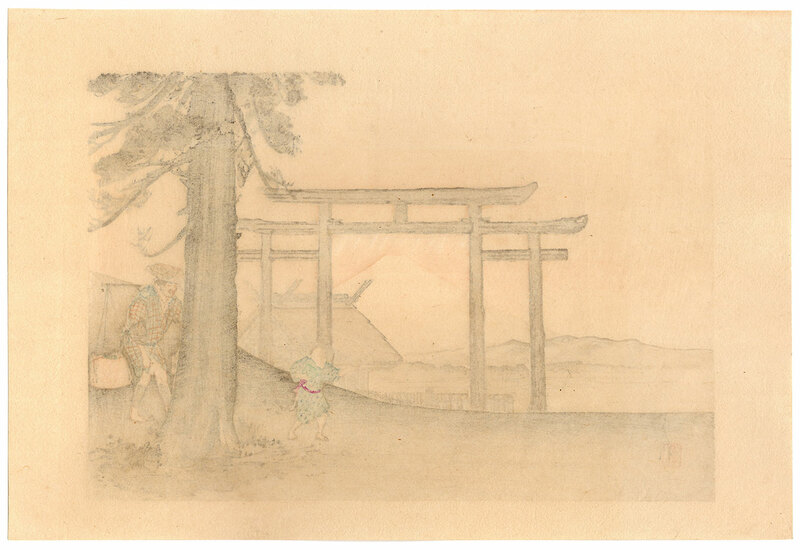 The work is taken from the "One Hundred Views of Mount Fuji" (富士百景), the famous series that earned the artist the awarding of a prize at the St. Louis World's Fair, the international exhibition held in 1904 and attended by nearly twenty million people. The print on Japanese washi paper (和紙), made by the publisher Matsumoto Heikichi (松本平吉), despite the right signs of time is in good general condition.